Noted financial columnist Ambrose Evans-Pritchard’s article on the same subject, printed in England by the The Daily Telegraph and published on their website on May 14th has been removed. Our article on the topic goes well beyond that of Mr. Evans-Pritchard, as he does not mention Lap Wai Chan, a fugitive from Brazil. Mark Patterson of MatlinPatterson maintains that he was misquoted in by Mr. Evans Pritchard. Even if Mr. Patterson was misquoted, which we doubt, the facts in our post below are evem more damning. This censorship is an example that the media is not in favor of Getting at The Truth. To protect ourselves from the guilty, you will find several “allegedlys” inserted below. US bailout money for a hedge fund? MatlinPatterson is not really what one would consider to be a bank. It defines itself as a “globally distressed private equity fund.” In other words, MatlinPatterson is a hedge fund. Still, even as a hedge fund, it received a huge amount of US bailout TARP money from Tim Geithner, the US Treasury Secretary. To make things worse, MatlinPatterson employs alleged fugitive Lap Wai Chan, said to be a Chinese national, with Brazilian and US passports. Geithner’s TARP gift enabled Lap Wai Chan’s hedge fund to purchase Flagstar Bancorp in Michigan, which has assets in excess of $16 billion, approximately 180 banking centers, and 100 loan offices in 27 states. Lap Wai Chan’s MatlinPatterson now owns 80% of the shares and the US government less than 10%, even though Geithner put up 40% of the money for the purchase! Isn’t TARP money to be used to cover toxic assets, and not to purchase more assets? “The taxpayers ought to know that we are in effect receiving a subsidy. They put in 40% of the money but get little of the equity upside,” allegedly confessed Mark Patterson, of MatlinPatterson. This confession incriminates Geithner, and validates that the bail-out strategy is geared towards Wall Street. Geithner, and his friends, represent a new American social class – those who are in a position to profit from America’s tax dollars, and growing national debt. The Obama administration has done nothing to change this. 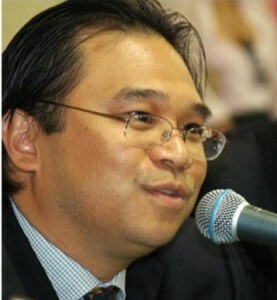 Who is Lap Wai Chan? Lap Wai Chan engineered MatlinPatterson’s purchase of Varig and Variglog, Brazil’s national airlines. Brazil ordered his arrest and the seizure of his passport for his attempting to transfer $86 million of the airlines’ funds to a MatlinPatterson Swiss bank account. 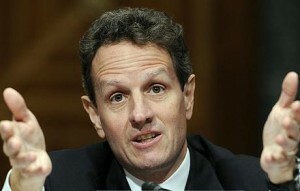 If Geithner doesn’t become a billionaire after he leaves the US Treasury, we should all be surprised. There must be plenty of lucrative “payback” jobs waiting for him in Wall Street. Welcome to the May 17, 2009 edition of Corporate Vigilance presenting an array of opinions, instruction, and helpful information as it relates to business and personal finance…. Question? Why is Matlinpatterson dumping huge amounts of HUN stock? MatlinPatterson sold even more of Huntsman (HUN) in 2005 at $23. HUN went down to about $2 in March, and has since risen to $9. So why sell? MatlinPatterson probably realizes what a lot of people don’t realize – the recent market rise was a huge “dead cat bounce,” based on false euphoria that the Depression is over. It isn’t, and things are going to get a lot worse. The U.S. consumer purchase account for 70% of the U.S. economy. With 500,000+ people being laid off every month, how can things get better? They can’t.